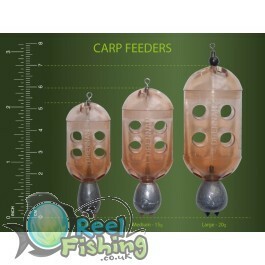 These Drennan carp feeders are ideal on commercial fisheries where groundbait is banned. They can also be used for any other species when a maggot feeder is required. The position of the weight ensures they cast like a dream and great accuracy can be achieved.